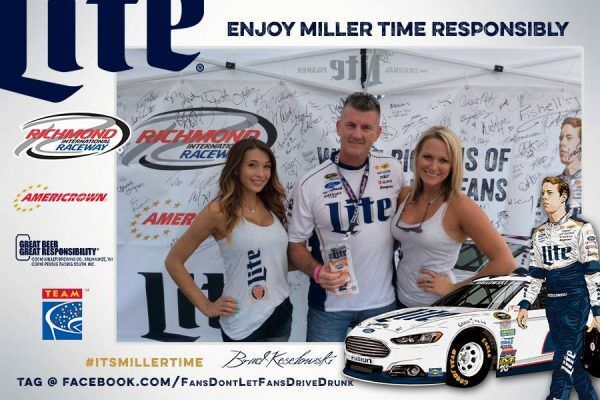 Responsible NASCAR fans earned valuable rewards at the Federated Auto Parts 400 at Richmond International Raceway on September 10, 2016. 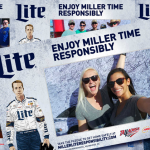 Miller Lite, Americrown and TEAM Coalition partnered to promote responsible drinking and traffic safety at RIR. 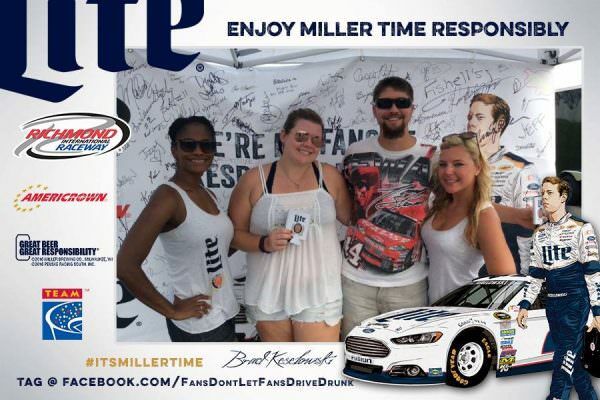 Before the race, 172 fans made the pledge to be a designated driver for their group. 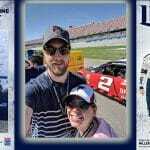 Fans who pledged received a free souvenir photo, instant prizes and a chance to be selected as the Designated Driver for the Race. One randomly selected, responsible fan will win the Responsibility Has Its Rewards sweepstakes. 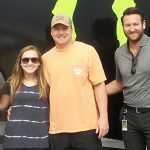 The grand prize includes tickets and a VIP experience for two people at the Toyota Owners 400 on April 24, 2017 at Richmond International Raceway. 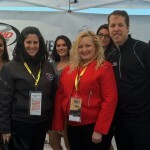 Some lucky fans also had the chance to meet Brad Keselowski, driver of the No. 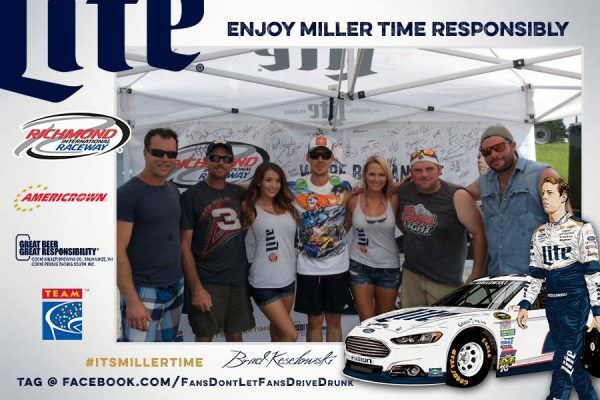 2 Miller Lite car, when he stopped by the tent for a meet-and-greet before the race.